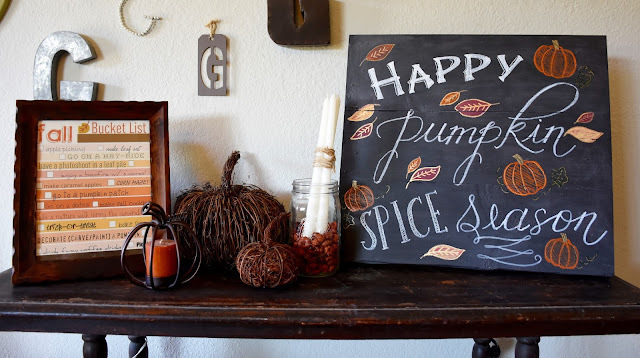 I finally dug out my fall decorations this week and I got my Hobby Lobby inspired DIY sign done! 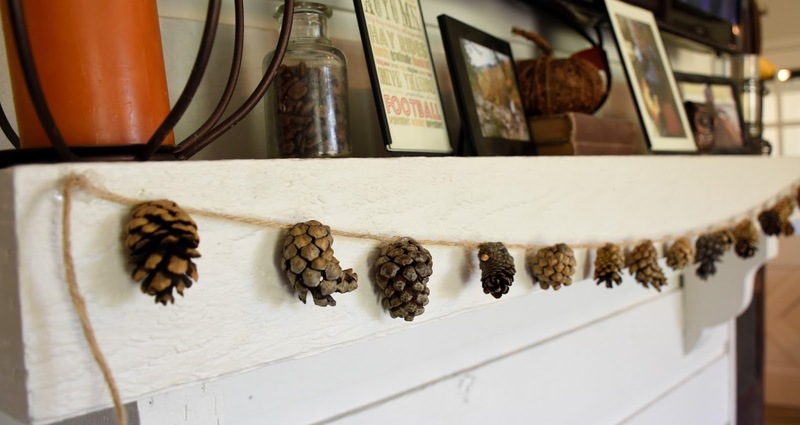 I also put together a quick little garland with these cute little pinecones. Also, my pumpkin collection out front has now grown to four!